Falls ihr dieses Mal nicht dabei sein könnt, hoffen wir, euch beim nächsten Mal zu sehen. Die Berlin Femme Mafia wird wieder monatliche Dinner veranstalten und hat eine Reihe weiterer Events/Projekte in Planung. Weitere Details hierzu findet ihr jeweils auf unserer Facebook-Seite oder auf berlinfemmemafia.blogspot.com. Femme Dinner (bringt Essen und Getränke und was immer mögt). The Berlin Femme Mafia would like to welcome you to our next dinner party, the perfect place to indulge in good food and a femme-positive atmosphere. *This event is not a planning meeting* it is a night to enjoy each others company, meet other femmes and get some good discussions going. People who have never been to a femme mafia event before are particularly welcome to come! We are also treating the event as a pamper party and encourage you all to bring along nail polish/face masques/hand lotion or whatever you like to pamper yourself with. If you can't make it this time, we hope to see you at our next gathering. 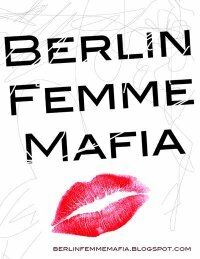 The Berlin Femme Mafia meets monthly and has a number of ongoing projects. 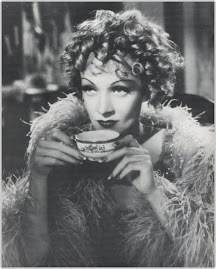 Further details of these will be announced on Facebook or berlinfemmemafia.blogspot.com. address: Boeckhstr. 40, bell name: Ashby. U-bahn: Schoenleinstr.